A Roth IRA relieves you from reporting dividends. 1. Can I Transfer the Securities in My IRA to a Roth Without First Selling Them? 2. Are Reinvested Dividends & Capital Gains Taxable in a Roth IRA? 3. Do I Pay Taxes on Qualified Dividends in an IRA? Roth IRAs are a unique type of retirement account because instead of getting a tax break for your contribution, your qualified distributions come out tax-free. You can’t contribute more than the annual contribution limits, but once the money is in your Roth IRA, you can invest it in a range of ways, including stocks that pay dividends. As a tax-sheltered retirement account, you don’t have to report the income on your taxes in the year that it is earned. Dividends received from stocks in your Roth IRA are not reportable on your income taxes due to the tax-sheltered nature of the account. You will need to report distributions from your IRA when you begin taking them, though. A Roth IRA is one of many tax-sheltered retirement accounts, which means that while the money is growing within the Roth IRA, you don’t report any income from the investments, including dividend income. For example, if you received $1,000 in dividends from stocks you owned in a brokerage account, the IRS requires that you report the income on your tax return and pay the applicable taxes. 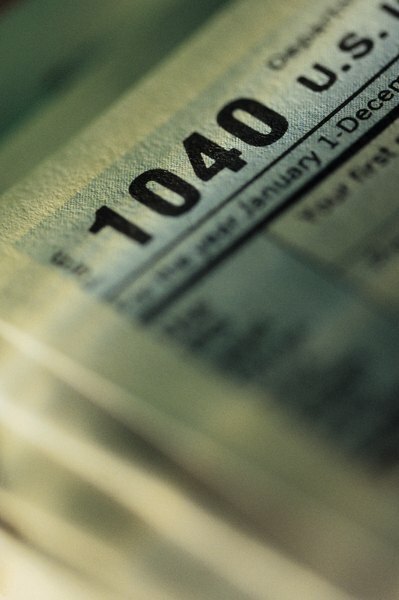 With investments in a Roth IRA, any dividends paid aren’t reported on your tax return. When you take qualified distributions from a Roth IRA, the entire amount of the distribution, both contributions and earnings, come out tax-free. So, all the dividends that have been accumulating in your Roth IRA for years can come out without being taxed. To take a qualified distribution, your Roth IRA must be open for at least five years and you must be at least 59 ½ years old, permanently disabled or taking the distribution from an inherited Roth IRA, or using up to $10,000 to purchase a first home. Even though these distributions are tax-free, you still need to note them on your tax return as nontaxable income. If you don’t meet the criteria for taking a qualified distribution from your Roth IRA, you may have to pay taxes and early withdrawal penalties on a portion or all of the withdrawal. However, when taking an early distribution, you withdraw all of the contributions first, which come out tax-free and penalty-free. However, once all of your contributions have been withdrawn, you start tapping the income in the Roth IRA, which includes any dividends earned from the investments. The nonqualified withdrawal of income from your Roth IRA counts as taxable income, which must be reported on your income taxes. Plus, unless an early withdrawal exception applies, you’ll also pay a 10 percent additional tax penalty. For example, say you contributed $10,000 to your Roth IRA and it has grown to $13,000 over the years it has been invested. If you take out $10,000, you won’t pay any taxes or penalties because you’re only taking out your contributions. But, if you take out $11,000, you’re withdrawing $1,000 of income, which is subject to income taxes and the 10 percent additional tax penalty. Nerd Wallet: What Are the 2013 Capital Gains Tax Rates? How Much Time Do I Have to Open an IRA? Can a Person Invest in a Roth IRA When Not Employed?